However, there’s another way you can use email to grow your business – cold emailing. This is when you reach out to prospects via email in the hopes of earning their business. Now, there are various methods and tactics you can use to increase open rates and replies. But that’s for another article. Here, we’re going to focus on the tools you should be using for your cold emailing. Here’s a great platform you can use to “shake” things up a bit with your cold emailing campaigns. It’s a content marketing tool you can use to get in touch with prospects via email. Unlike with many other email marketing tools, Mailshake allows you to send cold emails from a Gmail address. Of course, it’s all automated, so you can set and forget it, so scheduling cold emails and followup emails are seamless. And if you’re worried about the email designs, you’ll be happy to know it comes with simple and customizable templates. All of your contacts can be easily imported and exported as well. 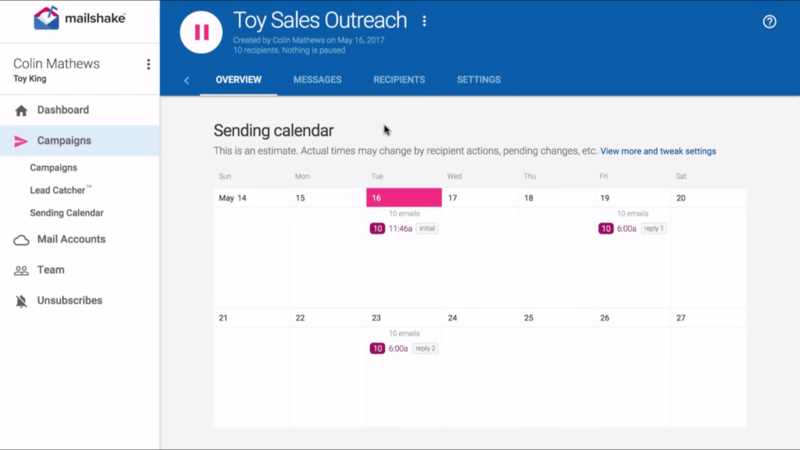 Then you can easily keep track of your emails and the interactions your prospects have with them. Some of the integrations for this include Gmail, Zapier, Google Sheets, HubSpot CRM, and Pipedrive. The features available include link tracking, flexible API, A/B testing, and conversion tracking. 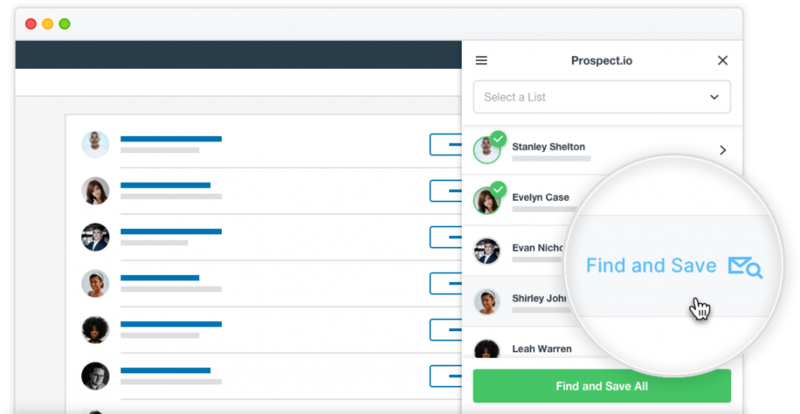 You can also use this tool to identify which prospects are the most promising. Both iOS and Android devices can be used. The price for the basic plan is $29/mo and $49 for the pro. If you’re unsatisfied with the product within the first 30 days, you can get your money back, so it’s definitely worth a try. Prospect.io (as the name hints) allows you to find your ideal prospects online and reach out to them, all within a single tool.This carrot themed software comes up with a handy browser extension you can take to any professional website or LinkedIn profile, and automatically place your fresh prospect’s email address and other information in the automated and personal cold emailing campaign. Aside from this, there are many interesting native integrations with popular tools such as Pipedrive or Salesforce and many more thanks to Zapier and PieSync support.Every action in Prospect consumes credits, and you can adjust the amount to your needs.The pricing starts from $99/mo for an account with 1000 credits. 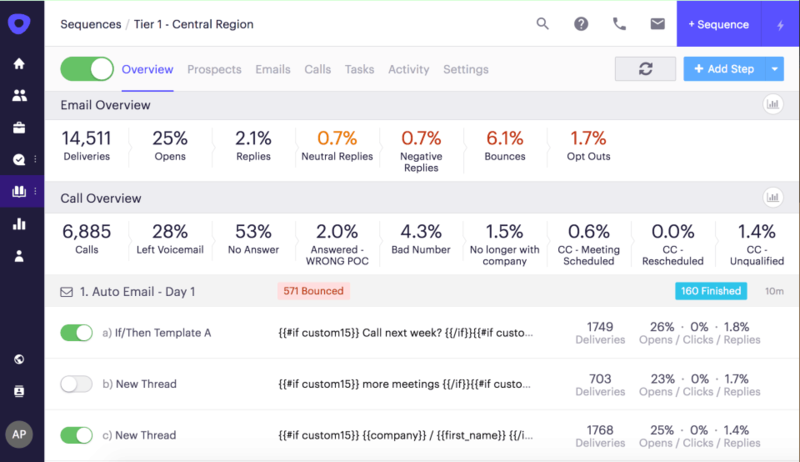 While there is no free trial, Prospect offers a 30-day money back guarantee without questions asked, so it’s definitely taking the pressure out of choosing your new outbound sales tool. 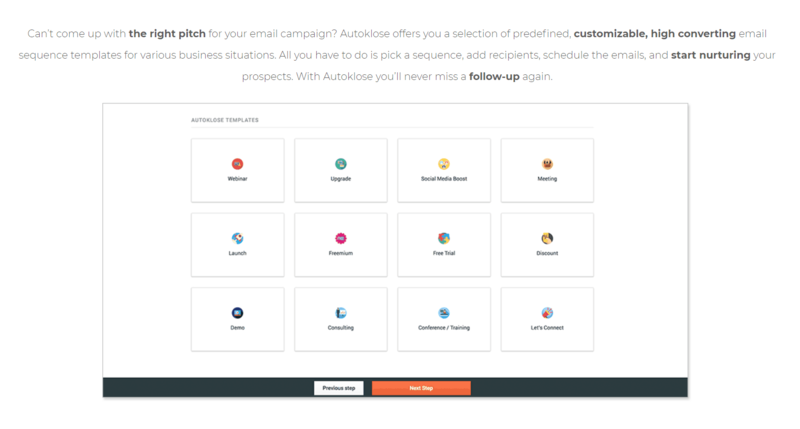 Autoklose is an outbound sales platform that’s well-rounded. It comes with features you can use for lead generation, drip email campaigns, and CRM integration. Like with Mailshake, this platform allows you to send bulk emails using your email address. This prevents your messages from showing up in the SPAM folders of your contacts. You can create auto followup emails to help nurture your cold emails into warm communications. Plus, it ranks contacts to identify which leads are hot or cold based on their interactions with your emails. It’s a fairly new platform so it’s expected to have some wrinkles that should get ironed out over time. You can integrate Autoklose with Salesforce, third-party providers, and various email platforms. The pricing for this cold emailing tool comes in three different packages. There’s the pro plan that starts at $29.99/mo. Then there are the team and enterprise plans, which require a direct quote from the company. There’s a free trial that lasts for 14 days as well. As a busy entrepreneur, you want to spend more time running your business and less time marketing it. This is what makes email marketing tools a must-have. 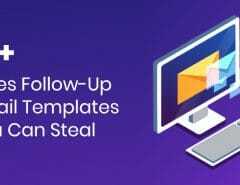 Lemlist is an excellent platform to use for cold email campaigns because it’s seamless and user-friendly. It’s not a Jack of all trades like many tools try to be. It specializes specifically in cold emailing, providing you with all the features needed to achieve the best results. You’ll find the dashboard is very intuitive. It’s broken into sections with filters and menus to make it quick and easy to find what you need. The organization is superb, which takes the headache out of integrating a new tool to your arsenal. 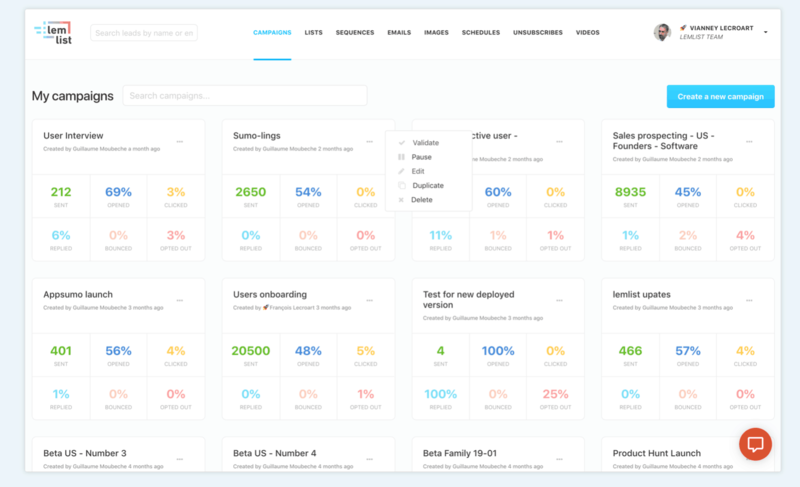 Some of the features it comes with include reporting and analytics, drip campaigns, event-triggered emails, image library, A/B testing, dynamic content, template management, growth forecasts, and lead tracking. The fees for this platform is also a big win, starting at $19/mo for a single user. Then for teams up to five, it’s $34/mo and $69/mo for enterprises with up to 10 users. Now, if you’re looking for something that does a little more than offer cold emailing features, then you’ll like Outreach.io. This platform combines voice, email, and social into a neat package for your sales and marketing teams. It comes with cloud, web, and SaaS deployment. Its features include intelligent automation, reply detection, custom schedules, A/B testing, tailored messaging, and master sequences. Even better, you can call your contacts right through the platform. This may come in handy when you get an email from an interested lead. If you’re looking for a tool that’s flexible and you’re willing to learn its operations, it can be a very powerful addition to your strategy. The developer doesn’t offer pricing details so you’ll have to contact them to get a quote. However, there’s a free trial you can take advantage of to test it out. If you’re looking for a cold emailing platform that’s received raving reviews, then Close.io is the one you want to consider. This cloud-based platform is available for both Mac and Windows and even offers training. You can read through the documentation available or opt to watch webinars and attend live online videos. This software is very flexible and can be easily customized. The setup is also quick and simple. Some of the features it comes with are one-touch communication, personalized templates, email scheduling, real-time reporting, and customer interaction history. 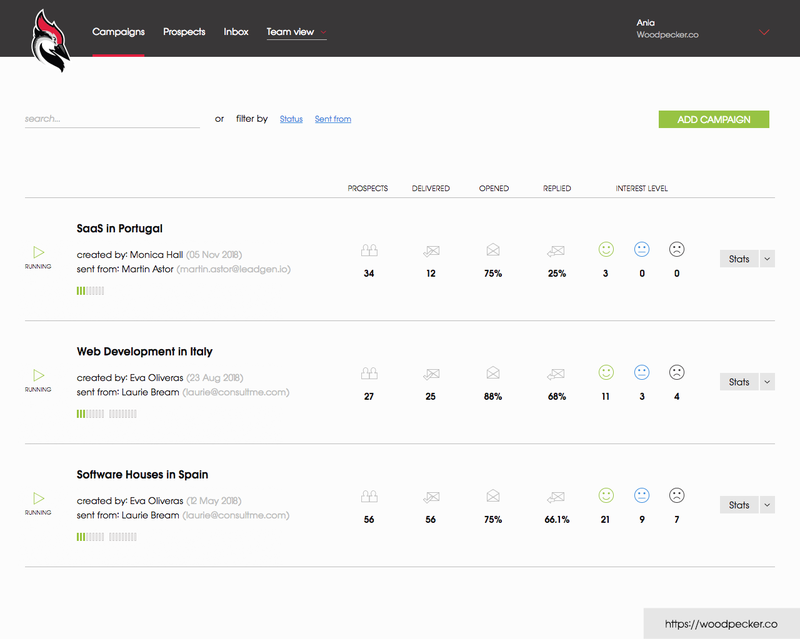 Close.io gets consistent 4- and 5-star ratings for its long list of features. The basic package starts out at $65/mo, then goes up to $110/mo for the professional package, and $165/mo for the business package. However, you can save 10% by paying annually. There’s also a 14-day free trial. This platform is a little easier on the wallet, depending on the plan you go with. The features are exceptional and the ease of use really makes this stand out. The setup is complete within minutes and you can begin sending bulk emails right away. The software features A/B testing to help you improve your cold emailing game. You’re also able to track each of your prospects. There’s even duplicate and collision detection to ensure there are no duplicate contacts and that your team doesn’t accidentally contact the prospect simultaneously. The system also easily integrates with your CRM, such as Salesforce or Pipeline to import and export contacts easily. The pricing begins with $30 for the tall package, $60 for the grande, and $100 for the venti. There’s a lot to like about the Reply.io platform, which comes packed with all the bells and whistles you’ll need for managing your customer interactions. And while the price is steep compared to other platforms, you may find it’s well worth it. 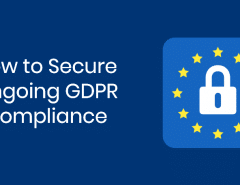 It comes with a host features, which include email automation, email validation, direct calls, CRM integrations, analytics and tracking, Gmail integration and contact management, to name a few. There are also email templates you can customize to match the look and feel that best resonates with your audience. You can easily track when contacts open your emails and click on the links inside. The stats are very helpful in finding which leads are warming up and which aren’t. You can use this data for your segmented campaigns to see why certain emails work better than others. The price for this platform is $70 per user for the individual plan. Then for business plans, it begins at $200/mo for small teams up to 3 members, $300/mo for teams up to 5 members, and $500/mo for teams up to 10 members. There are also custom plans available for enterprises, which you’ll have to contact them about. When you are putting so many efforts in order to write and communicate through cold emails, you expect it to get delivered efficiently and track the results. SalesHandy does that job for you. 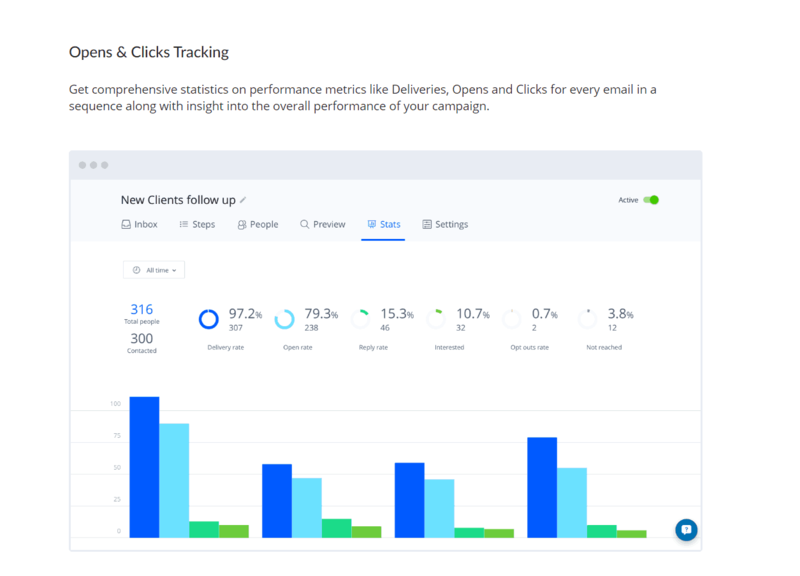 It will help you track your emails, campaigns, and analyze them.Also, in order to make your task even easier, it has an email scheduling, auto follow-up as well as an email sequencing feature to it. This gives your hardworking managers more time to work on closing deals as they are spending less trying to gauge the most engaged contacts from their cold emailing campaign.Their basic plan starts at 7$ per month (if paid annually) and has a free trial for the same for 14 days. Ready to ramp up your cold emailing efforts? Then you’re going to need the right tools to get the job done. Combining proven methods with high-rated platforms is a recipe for success. Check out this list of tools to see which you should empower your sales and marketing teams with.